Used with square drive shaft assemblies. Solder 1/4 inch cable to one end, set screws connect stub shaft to the other. 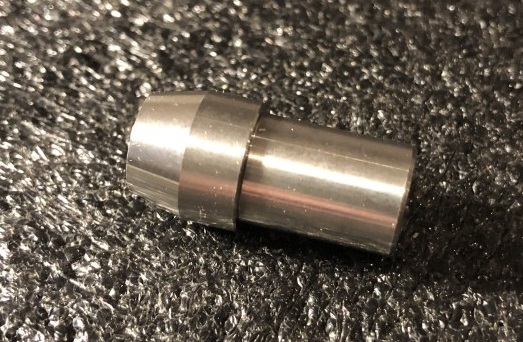 Use with our 3447 stub shaft. Made from brass for easy soldering.